KAYS have launched the latest version of their UK and Ireland app, featuring all the information from our comprehensive directory in the palm of your hand. Available for iPhone and Android, KAYS app is the essential resource for finding the latest companies and freelance technicians working in the film and TV industry. 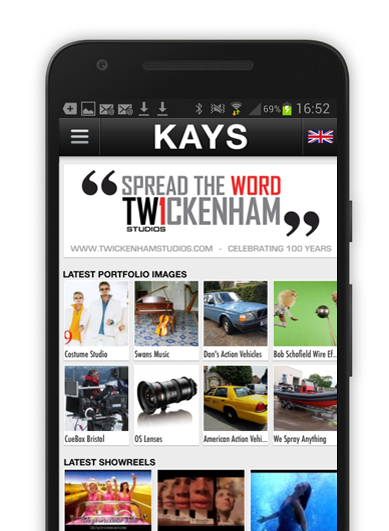 Whether you’re looking for cameras, props, costumes, studios, catering, lighting, overseas film commissions or just about anything else, KAYS app is the ultimate guide. KAYS app is constantly updated, ensuring that you will always have the latest contact information to hand. What’s more, the app features its own unique search tools, including a function to browse listings by city/county and also credits to see who’s working on the latest productions.